This entry was posted on April 25, 2015 by Tinteán Editorial Team/EMcK, in Gallipoli, History, Irish Soldiers at Gallipoli, Of Literary Interest, Poetry and tagged Easter rising, history, Irish Soldiers at Gallipoli, Poetry. Bookmark the permalink. listening for echoes I could not hear. resonates still on unnatural landscapes. against the wind by Agamemnon himself. where once they drowned the hearts of men. stretched out in marching order. The ‘1916 Rising’ in Dublin set Ireland on the long painful road to independence. April 25th 1915 was the date of the initial landings of British and Allied troops (which contained many Irish soldiers) on the Gallipoli Peninsula in the Dardanelles during World War One. Both events occurred exactly a year to the day apart, both events saw Irish lives lost fighting both for and against the British Empire………such is the story of the Irish! 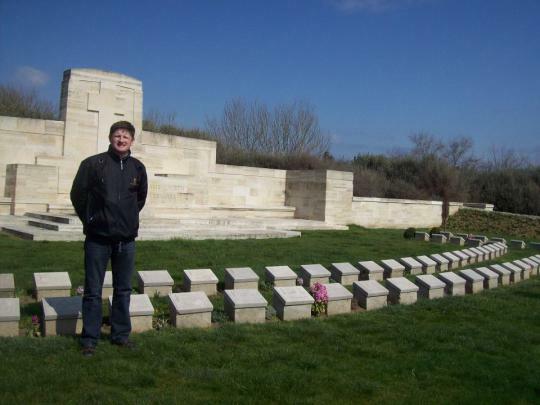 I have visited the battlefields and cemeteries of the Great War in Europe and also in Gallipoli. Their silence is very, very loud to me. This history resonates with me; I remember all those lost on all sides in the conflict. Until very recently the story of those Irish soldiers who fought and those thousands who perished in the Great War was relatively forgotten, especially in Ireland. Whatever uniform they wore, whether Irish or British I respect them as Irishmen and women who fought for something greater than themselves, who served their country at that time. The Irish poet Francis Ledwidge fought in Gallipoli after arriving there with the 10th Irish Division in August 1915. Like many soldiers he wrote of his impressions as he sailed past the ancient ruins of the city of Troy while on troopships, en-route to battle and destiny. The peninsula is a beautiful picturesque landscape littered with graves, many of them Irish graves. In 2011, I wrote this poem in response to my experiences of that place! Michael J. Whelan is a soldier-poet, writer & historian (Curator – Irish Air Corps Aviation Museum) living in Tallaght County Dublin. He served as a peacekeeper in South Lebanon and Kosovo during the conflicts in those countries, which inspires much of his work. He was 2nd Place Winner in the Patrick Kavanagh Poetry Award 2011, Shortlisted in 2012 with a Special Commendation in 2013. He was 3rd Place Winner in the Jonathan Swift Creative Writing Awards 2012, short-listed in the Doire Press and Cork Literary Manuscript Competitions and selected for the Eigse Eireann/Poetry Ireland Introductions 2012. His work has appeared in the Hennessy New Irish Writing 2013, Poetry Ireland Review, the Red Line Book Festival and other literary magazines and newspapers. His poems were recently published in a new anthology titled ‘The Hundred Years War’ published by Bloodaxe UK in May 2014.